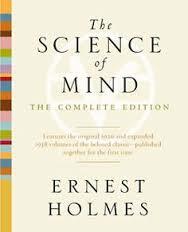 You Are Here: Home » WHAT IS SCIENCE OF MIND? The Science of Mind that is taught in these lessons is an outgrowth of the spiritual faith which people have had throughout the ages. Before science was conceived the Presence of God was felt. Before mental actions or reactions were analyzed history was filled with instances of men and women who had experienced God. The Science of Mind is comparatively new, but the mental experience of the invisible universe is as old as the history of man. It is new in that for the first time in history we have put together all the findings which contribute to the establishment of man’s relationship with the universe, to the end that he may be able to apply his spiritual understanding to the everyday problems of human life.